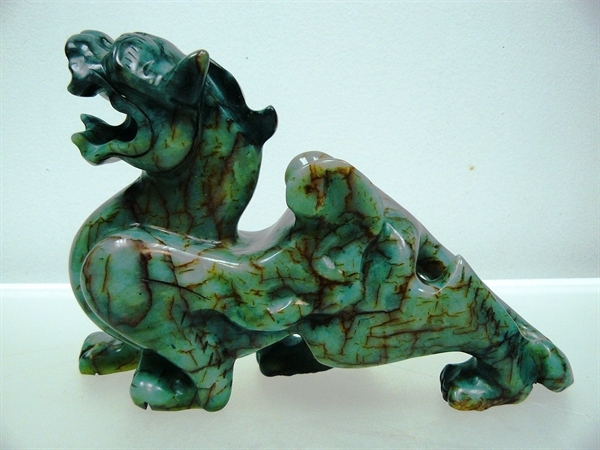 Size: Long 10", Deep 4", High 7" Price for One Piece Only, not for a pair. 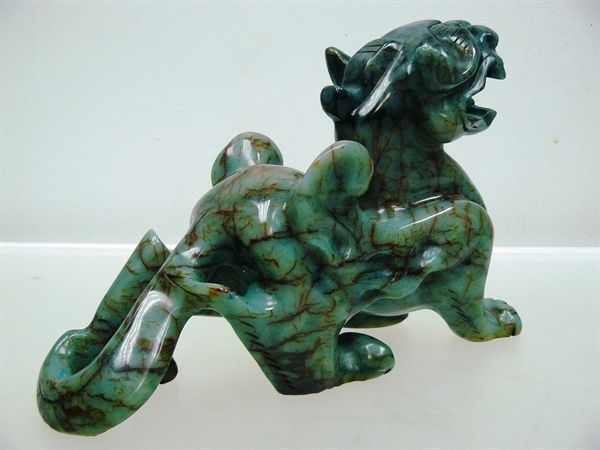 This is an ancient creature, named Pixiu. 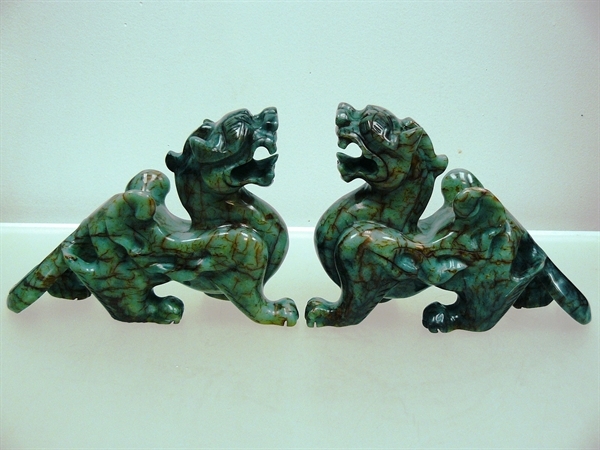 It is all hand carved from natural jade. 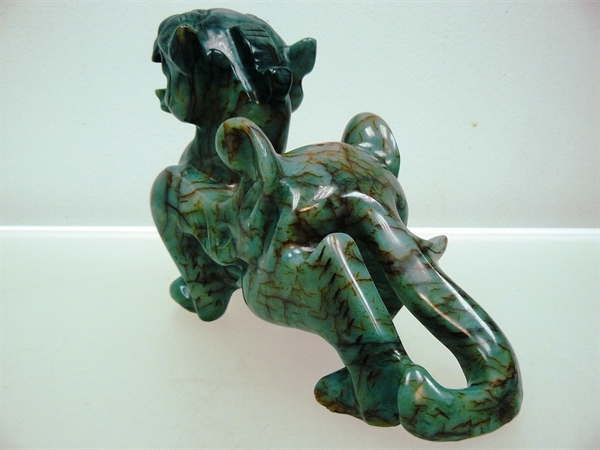 Pixiu is a Feng Shui object that is believed to protect you from bad things. 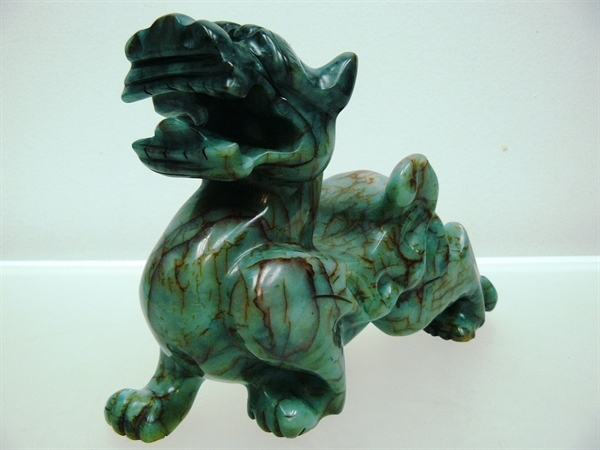 The color is rich on this item with detailed carving.